Can I get help with the court fee for a divorce? The answer will always depend on the overall finances of the spouse starting the divorce application – the Petitioner. The current court fee is £550 for an undefended divorce. This is a one-off front-loaded court fee. If both spouses co-operate, the divorce will be undefended. In addition, if both spouses sign and submit documents to the court when they are due, and without corrections, this will be the only court fee to pay throughout the entire process. The spouse starting the divorce can obtain help with the court fee via the fee exemption form. This must be sent with the divorce application to the court. Otherwise £550 must be paid. The exemption form is: “EX160: Apply for Help with Court and Tribunal Fees.” The form and explanatory Notes can be viewed and downloaded here. If the Petitioner is in receipt of certain state benefits, including job seekers allowance and income support, you are likely to get help with the court fee. Income of less than £1,085 a month before tax and National Insurance has been taken off (this can include benefits, e.g. working tax credit, child tax credit) can also establish eligibility. The Petitioner will need to check and calculate eligibility on an individual basis and also make use of the Fee Remissions Contributions Calculator. The Petitioner must be certain of their eligibility prior to sending the divorce application to the court. A court can reject a divorce application for this reason. If rejected, this can lead to delay that may negatively impact the case financially or debar you from starting the divorce in England & Wales altogether if your spouse starts the divorce first elsewhere. In addition, the benefit of being the Petitioner (and not the Respondent) is that you have greater control over the divorce timetable. A family lawyer can explain these issues and implications further. To avoid any risk, the Petitioner may consider just paying the court fee and then use the EX160 form to make an application for a refund within 3 months from the date of the initial payment. All details can be found at the link above. The Petitioner can also ask the court to make an order that the spouse receiving the divorce application (the Respondent) pays the entire divorce costs. This is called a costs order. This applies to certain cases and there are also possibilities in between. This is why you need to consult a lawyer. 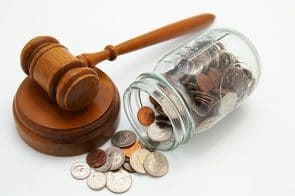 Without this expert help to claim divorce costs, and start your divorce in the most beneficial legal jurisdiction, you may not be able to work out what is best for you and what divorce costs claims you can make. If you are the Respondent, you may want to defend any costs claim against you. Costs claims against Respondent’s are common. Advice from a family lawyer can save you costs, time and stress. If you would like to speak with one of our family solicitors please call us on 0800 437 0322 or request that one of the team call you back with our online form.